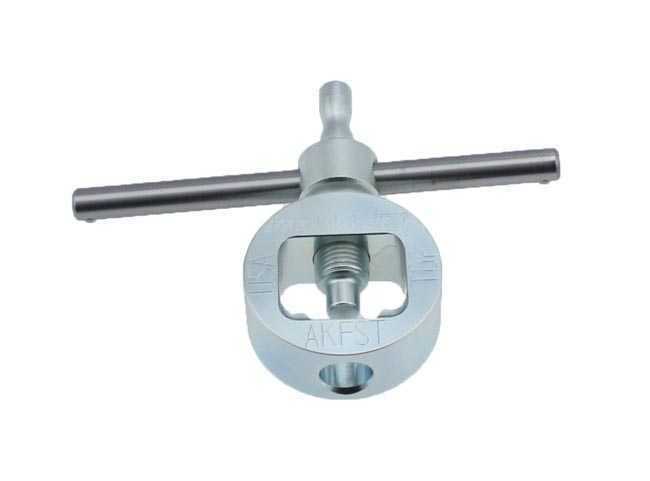 The AKFST line of AK-47 front sight tools are the first AK front sight tool to be made to the levels of strength and durability the AK end user or manufacturer expects. 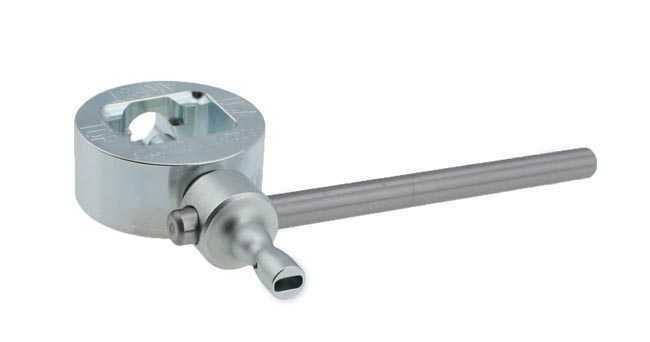 No extra tools are required. 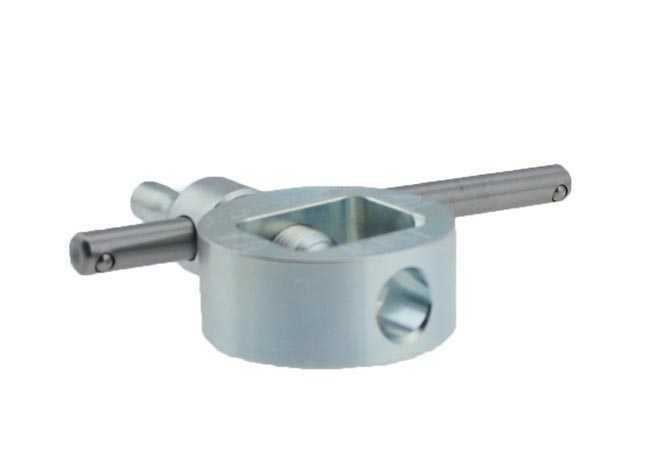 The AKFST have a limited life-time warranty - if the tool breaks under normal use, send the tool back to Magna-Matic for a replacement (see www.magna-matic-defense.com for full warranty details, terms, and conditions.) 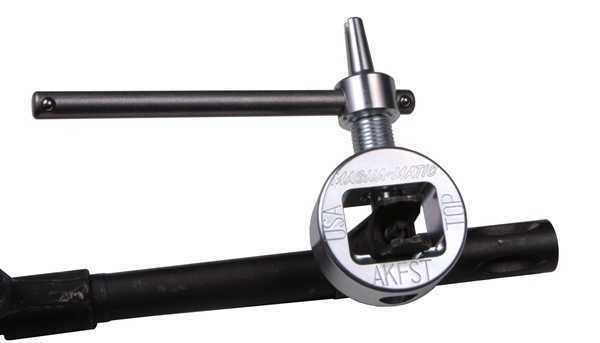 The UNBREAKABLE AKFST is 400% stronger than the current generic “C-clamp” type tools. 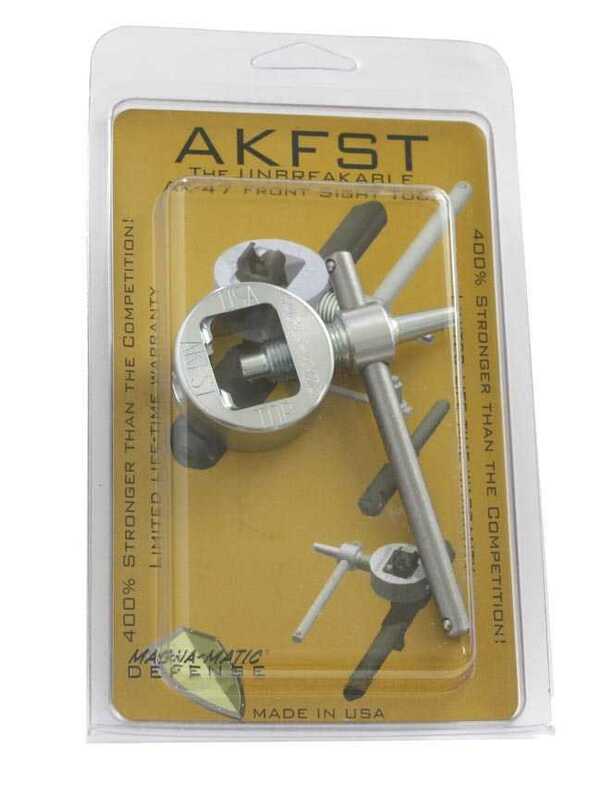 Now with the AKFST you’ll never have to re-buy a front sight tool due to breakage on a frozen AK sight. 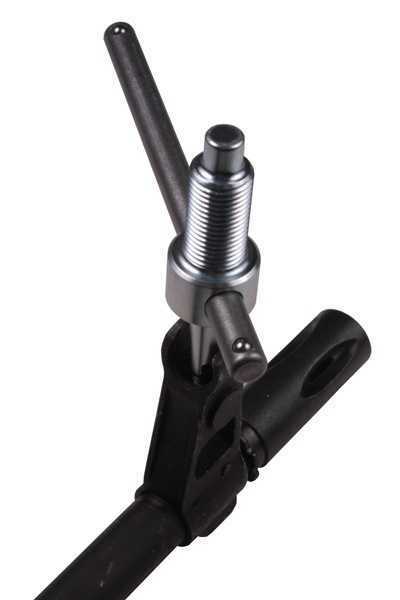 The AKFST also makes range adjustments even easier, don't let a frozen AK front sight force you to run back to your shop to make adjustments. 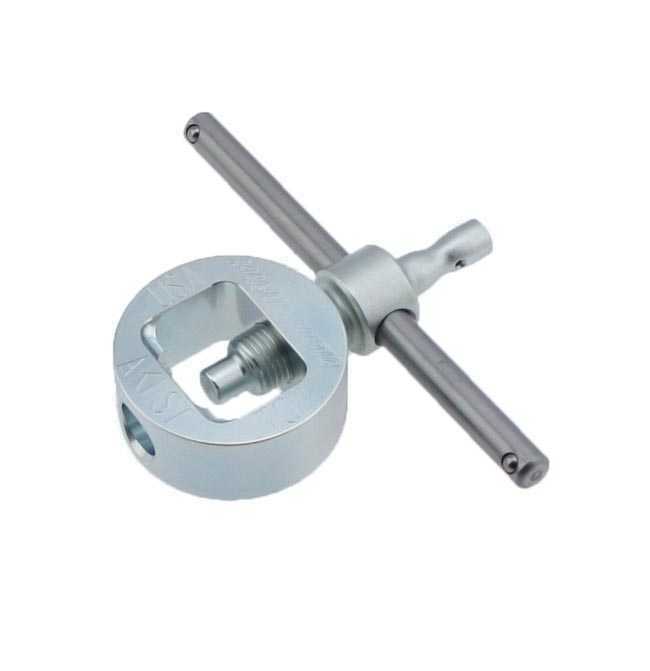 The 4.5 inch long torque arm provides a greater accuracy in sight adjustment, because with a longer lever it requires less pressure to make a smaller motion. Which allows you to be more sensitive in your adjustment. **The AKFST & AKFST-GS will not fit - AK-104 style gas blocks or Yugo M92 "Krink"